FirstEnergy’s effort to get Ohio consumers to subsidize noncompetitive power plants is short-sighted and won’t guarantee long-term financial health, according to a new report. 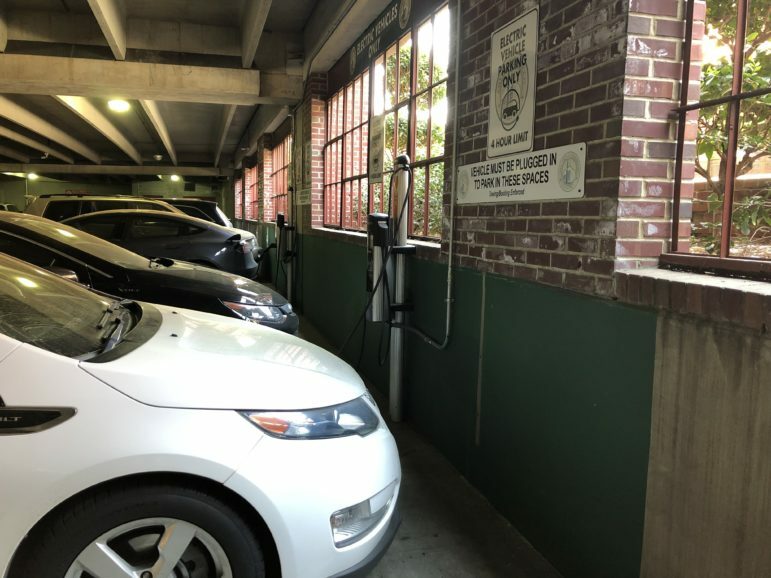 That’s because FirstEnergy continues to center its business around coal, instead of adapting to competition, changing markets and newer technologies, says the report, released last week by the Institute for Energy Economics and Financial Analysis (IEEFA). American Electric Power (AEP) and other Ohio utilities have similar plans to protect coal plants. 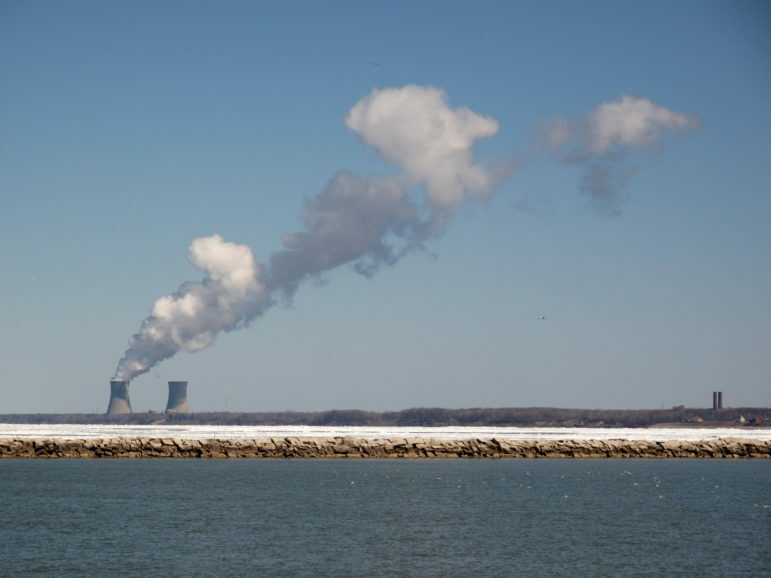 FirstEnergy’s generating capacity relies heavily on coal, with two-thirds of its 2013 generation coming from coal plants, reports the Cleveland-based IEEFA. Reducing coal dependence is part of the organization’s mission. 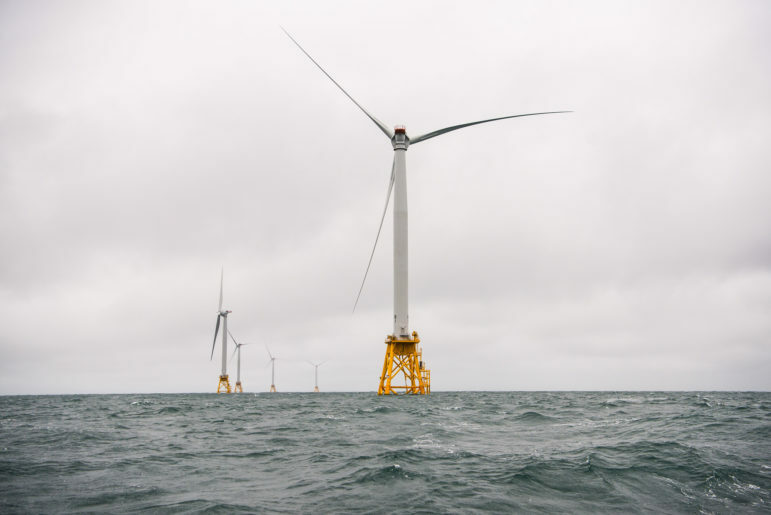 “With an aging coal fleet, low natural gas prices driving down power prices, weak electric demand growth, and increasing penetration of energy efficiency and renewable energy, this has not been a winning strategy,” said the report. Under a law passed 15 years ago, Ohio’s electricity generation providers are no longer regulated and must compete with each other. “The market for coal in deregulated markets is not good,” stressed co-author Cathy Kunkel. Coal plants have had to face significant costs to comply with mercury emission rules. They also face higher compliance burdens under proposed federal rules to limit carbon emissions. Many Ohio coal plants are also more than 50 years old. Newer plants are generally more efficient. Coal generation also faces increasing competition as the price of renewables comes down, Kunkel said. That competition has caused some of the more forward-thinking energy companies “to rethink their whole business model,” Kunkel said. She gave NRG Energy as an example. FirstEnergy also “has a lot of debt that’s not going away,” Kunkel added. The company has a lower credit rating than other energy companies of similar size, the report noted. Moreover, FirstEnergy’s stock performance has lagged behind other companies. 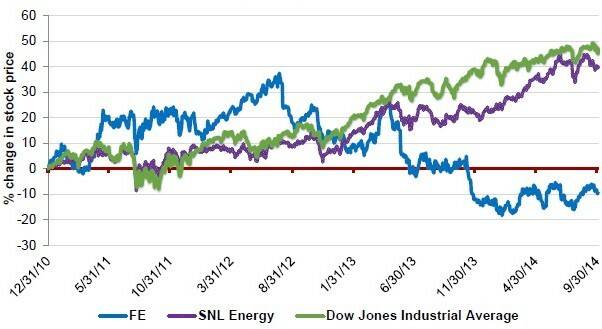 A graph in the IEEFA report shows FirstEnergy underperforming relative to indices for the energy and industrial sectors. Among other things, FirstEnergy fought against Ohio’s renewable energy and energy efficiency standards. The Ohio legislature rewarded those efforts by passing Senate Bill 310, which temporarily freezes and substantially modifies those standards. 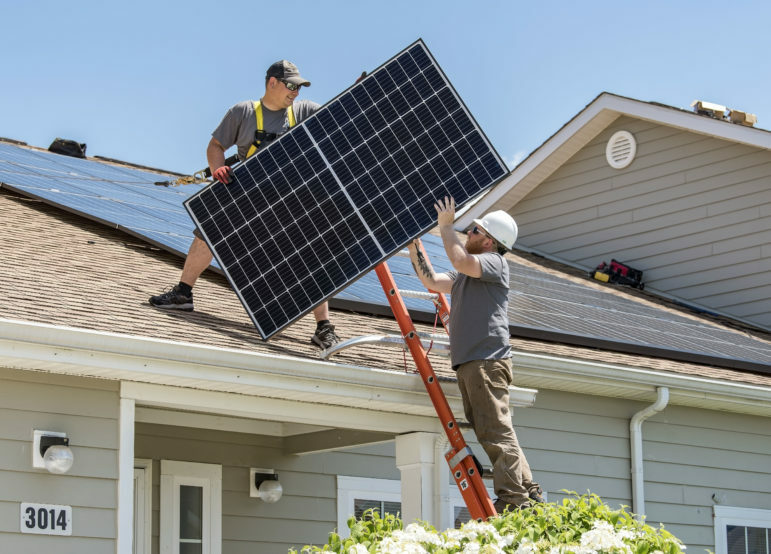 FirstEnergy has also challenged the inclusion of demand response in regional capacity auctions and sought to limit customer benefits under Ohio’s net metering law. 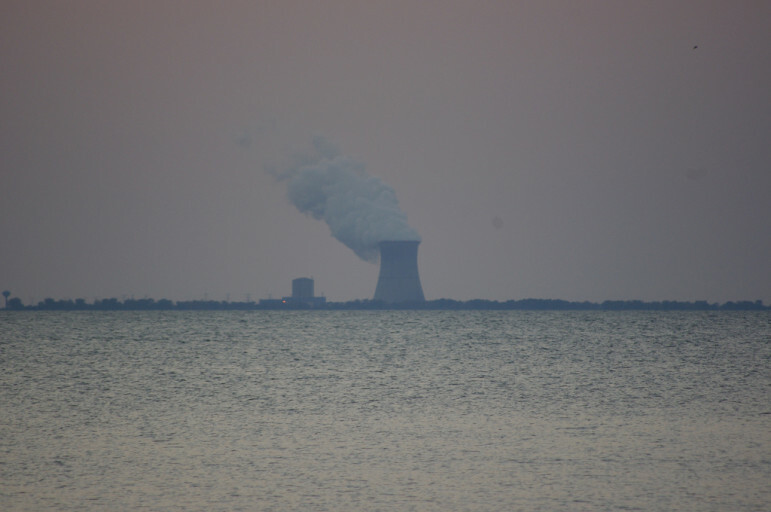 FirstEnergy is also asking the Public Utilities Commission of Ohio (PUCO) to approve long-term contracts for several unregulated coal plants and the Davis-Besse nuclear plant. The plants would sell all their electricity to the regulated utilities, which would then resell it on the market as the plants would normally do. Any difference between the market price and contract price would be charged or credited to all distribution customers. In Kunkel’s eyes, the plan is a subsidy. FirstEnergy spokesperson Doug Colafella says the utility “has taken significant actions—particularly in the past 12 months—to improve our financial position, lower our cost structure, and position the company for more stable and predictable growth through our regulated holdings, and overcome the lingering effects of the recession as well as challenging capacity and energy markets. “We believe the strategies we have put in place, together with our commitment to operational excellence and financial discipline, will provide long-term value and predictable, sustainable growth to our investors,” he added. A more optimistic analysis posted by investor James Bjorkman on Seeking Alpha dubbed FirstEnergy a “recovering utility.” FirstEnergy should be able to pay sustainable dividends to “patient investors,” he wrote. Other Ohio utilities want the PUCO to approve plans similar to FirstEnergy’s. Earlier this month, American Electric Power’s AEP Ohio company filed papers seeking to guarantee sales for four more of its coal plants. 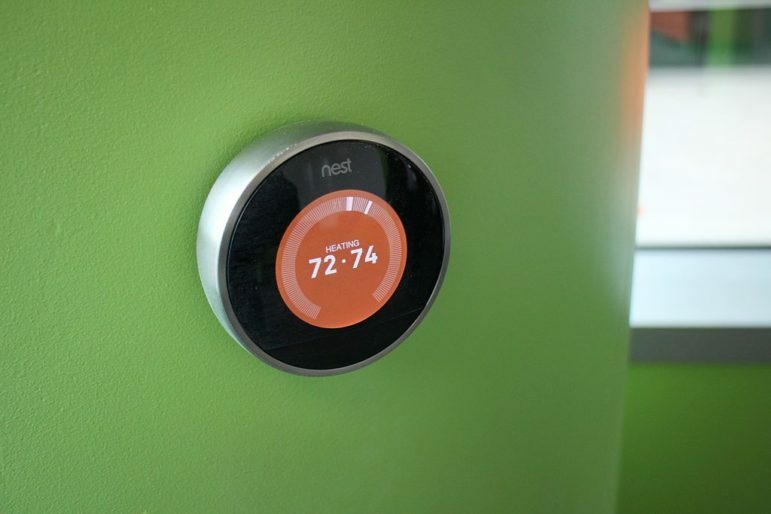 Lawmakers who pushed SB 310 through the legislature have railed against the renewable energy and energy efficiency standards as interfering with the free market. However, those lawmakers have so far been silent about Ohio utilities’ efforts to guarantee sales for non-competitive coal plants. If approved, though, distribution customers would have no choice about rider charges. Critics also say the concept runs against the idea of a free market for electricity generation. Jobs are another concern for both supporters and opponents of the utility plans. 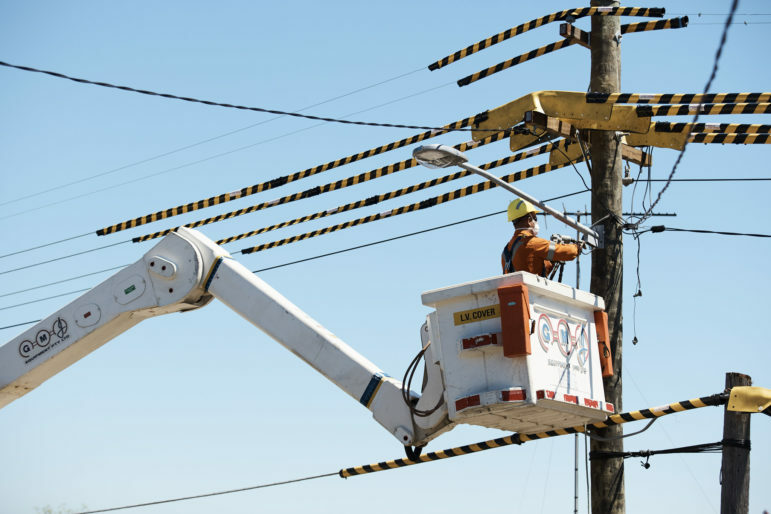 Prepared testimony by AEP’s president and chief operating officer, Pablo Vegas, said that without the guaranteed sales, the plants “will be at greater risk of retirement.” Those closings would require the addition of new generation capacity, he warned. 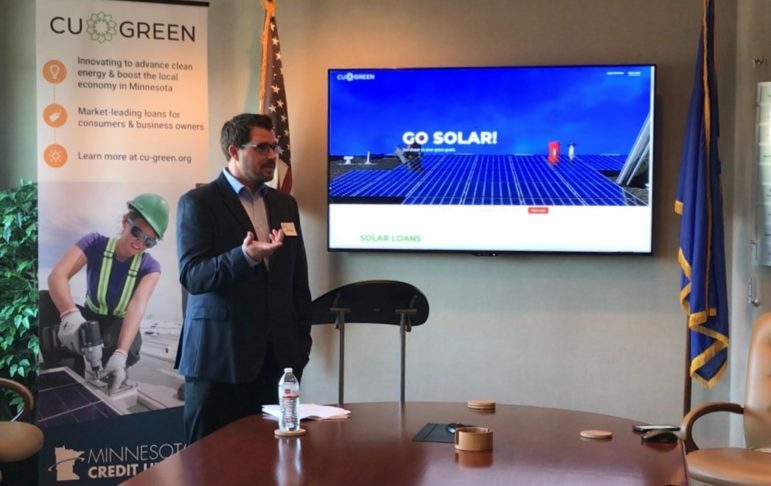 “More than 1,100 employees at these facilities provide approximately $86 million in direct income and indirectly contribute to over $173 million of income to the state,” Flora said.